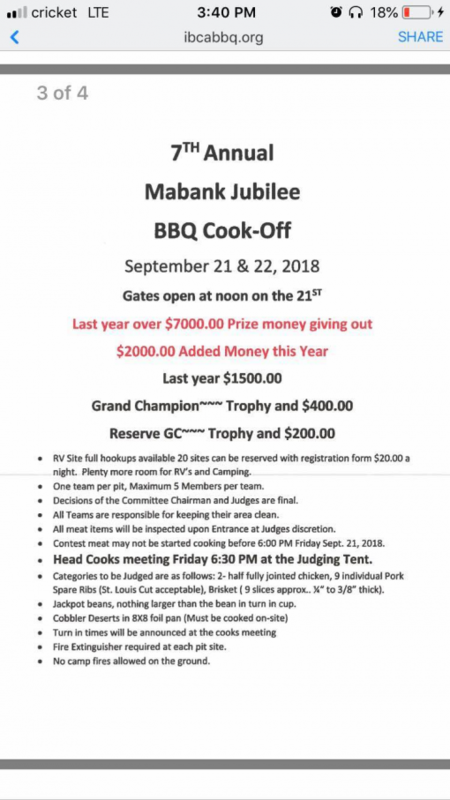 The much anticipated Jubilee hosted by the respected Mabank Fire Department is coming up this Saturday and will take place at the Mabank Pavilion behind the rodeo grounds. 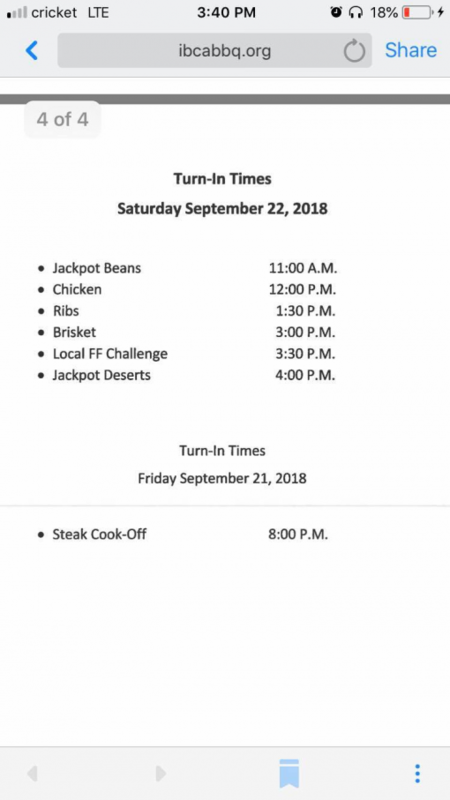 Vip tickets are available for purchase at $15 each and everyone is welcome to a free concert by a local favorite Tyler Stokes and then Jack Ingram! 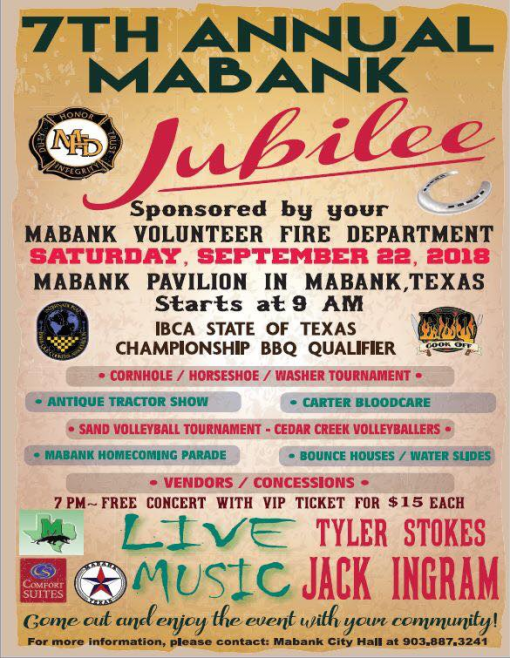 The Mabank Volunteer Fire Department will also be selling tshirts to raise money so look for that table to help support your local community. 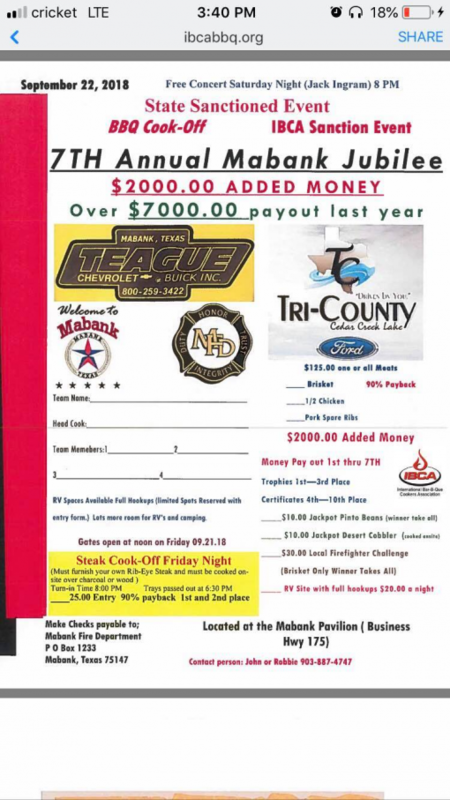 Don’t forget to look out for the Mabank Homecoming Parade able to be seen by all!